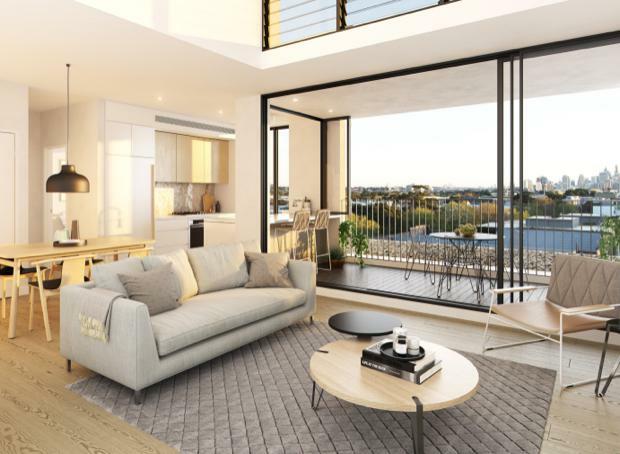 Fox Johnston’s innovative new residential apartment project AMARA, in Alexandria, five kms from the central business district of Sydney, has received DA approval and construction is set to begin. The project includes 191 apartments, of one, two, three & four bedroom apartments around a central courtyard with buzzing retail on the ground floor. 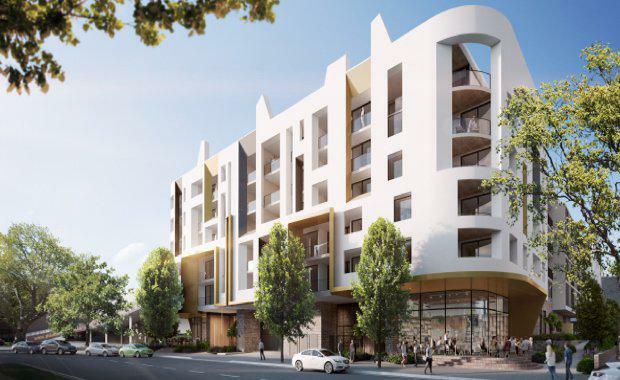 Fox Johnston won a major Design Excellence competition to design the new residential and mixed use project in Alexandria, inner city Sydney, competing with a number of leading architecture firms including Candelapas, SJB and DKO. 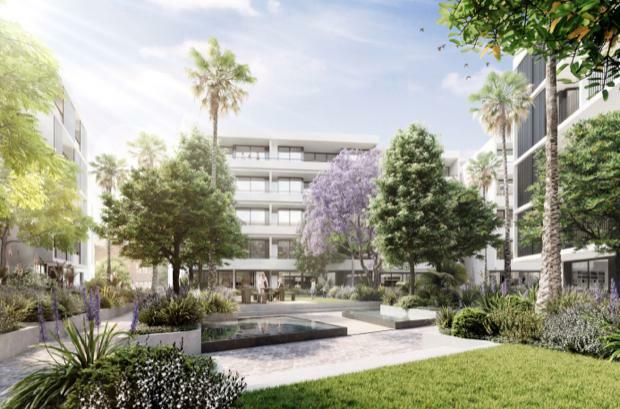 The developer is Amara Living, Managing Director Robert Yazbek. Fox Johnson conceived the building as an exoskeleton (from Greek έξω, éxō “outer” and σκελετός, skeletos “skeleton”) – a hard external skeleton that supports and protects an animal’s body. Exoskeletons contain rigid and resistant components that act as a barrier to the outside, providing permeability both ways and allowing the interior to feed, flourish and nurture itself. It’s a clever response to a dense inner city site, in a predominantly industrial area, bounded on one side by a high volume heavy traffic route, with three other diverse street frontages on the eastern, north and southern sides. Instead of greening the outside of the building, Fox Johnston has effectively turned the building inside out, providing lush green gardens, courtyards, balconies and maximum sun to each apartment from the inside, mitigating the effects of noise, pollution and traffic, and enhancing the sense of ‘place’ and community for its residents. The result is a sculpted, considered, and completely contemporary take on the type of traditional multi residential and multigenerational forms of residential architecture found in ancient China, Spain, India, or France, where multiple family units open inwards into a shared green central courtyard space. Formed as an ovoid - punctured by an elongated central courtyard – the building has been modulated to create two distinct building volumes – with each volume responding to its specific site condition. A carefully designed external skin wraps around the building’s eastern and western perimeter, with a more permeable skin or body in between. The breathable exoskeleton provides noise protection from the well-transited arterials by controlling apertures and creating a deep sound buffer. The eastern skin on Botany Road is modulated even further with natural ventilation chimneys allowing air to circulate when closed down, and vertical gardens and timber acoustic walling providing visual and sound control to balconies. The building will activate and enliven the transitioning Alexandria area around it by providing high quality, sustainable residences that provide a visually intriguing backdrop to the local area. It has been thoughtfully designed to provide optimum efficiency in terms of building design, layout and environmental performance as well as compliment the original industrial buildings. Each apartment will benefit from thoughtful planning and functionality as well as considered orientation to outlook, light and breezes. Large areas of glazing optimize this outlook and create a permeability between levels. External sliding screens enable privacy and sunlight control, with lush garden planting providing green relief between apartments. Fox Johnston has chosen materials to reflect the original industrial and commercial uses of the area – masonry, brick, steel – providing patina and texture in the building elements. A complementary palette of natural and new materials with the use of bricks, off-form and painted concrete, steel and clear glazing is also in keeping with the concept of responding to the local environmental conditions. Depth and definition in the facade is enhanced by the permeability of the apartments and with the introduction of balconies and deep modulated reveals.